Over the last four decades Arlo has toured throughout North America, Europe, Asia and Australia winning a broad and dedicated following. In addition to being an accomplished musician—playing the piano, six and twelve-string guitar, harmonica and a dozen other instruments—Arlo is a natural-born storyteller whose hilarious tales and anecdotes are woven seamlessly into his performances. In 1961 a young Arlo Guthrie took to the stage for the first time … solo. He played in England, Scotland and Denmark during the summer of 1965, showing up at clubs or singing on street corners … alone. In November that same year he began work on his epic adventure, “Alice's Restaurant.” He worked as a solo artist touring around the world to as far away as Japan for the next two years until “Alice” was recorded. In 1967 “Alice's Restaurant” hit the radios and the record stores. In 1969 four events converged to change everything. He appeared at Woodstock Music Festival, starred in the motion picture Alice's Restaurant, married Miss Malibu, Jackie Hyde, and bought an old farm in Massachusetts. He has rarely toured solo since those Woodstock days. In 1983, alongside his thriving performing career, Arlo launched his own record label, Rising Son Records that holds his complete catalogue. His latest album, In Times Like These, is a dynamic work in which Arlo collaborated with the University of Kentucky Symphony Orchestra. It will be released on his 60th birthday, July 10. In 1991, Arlo bought “The Church” which now houses The Guthrie Center, a not-for-profit interfaith church foundation, and The Guthrie Foundation, an educational foundation, dedicated to providing a wide range of local and international services. 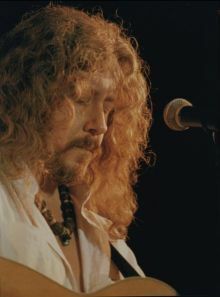 In December 2005, using the Guthrie Foundation as a springboard, Arlo and his family rode the Amtrak City of New Orleans train from Chicago to New Orleans, stopping along the way to perform benefit concerts. “‘We saw the disaster unfold in New Orleans, on a level that probably hadn't been seen since the Dust Bowl era…and I wanted to do something that would actually help.' said Arlo” – The Wall Street Journal. Arlo Guthrie & Friends – Ridin' on the City of New Orleans (Benefiting Victims of Katrina) raised over $100,000 directly targeted for musicians.